The smash hit of last year's entertainment industry was Marvel's Guardians of the Galaxy and without a doubt, one of the reasons for its success was the character of Rocket Raccoon. Voiced by Bradley Cooper, Rocket's got a chip on his shoulder and a mouth on him that fans immediately fell in love with, making him easily one of the two most popular characters of the year alongside his screen partner Groot. 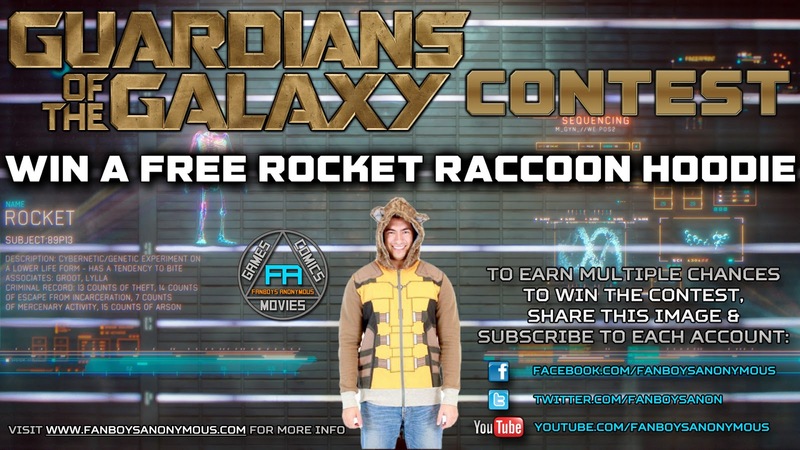 As part of a promotional giveaway, Fanboys Anonymous is partnering up with TV Store Online for a special contest wherein you can win your very own Rocket Raccoon hoodie. 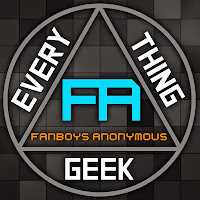 All you have to do is show you support for Fanboys Anonymous by subscribing to our social media accounts and sharing/retweeting our links to this contest (or more) to enter multiple times for a chance to win. Show your love for Rocket Raccoon with this officially licensed costume hoodie! The more points you earn, the more chances you have to win! The winner will be chosen in a random draw and contacted through their social media account.